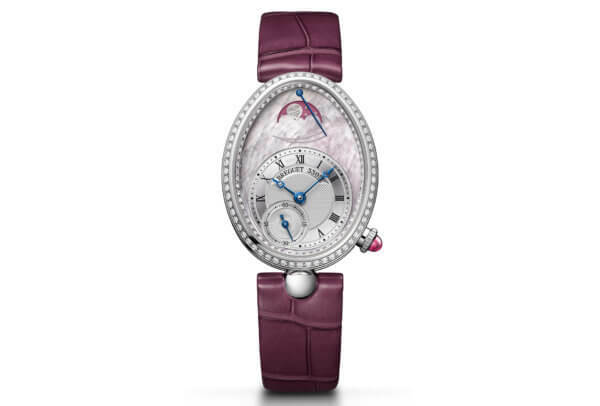 For the most romantic day of the year, Breguet has imagined a new interpretation of its Reine de Naples, in shades of pink and mauve, spotlighted with diamonds. The white gold case encloses an automatic movement with a moon-phase display. 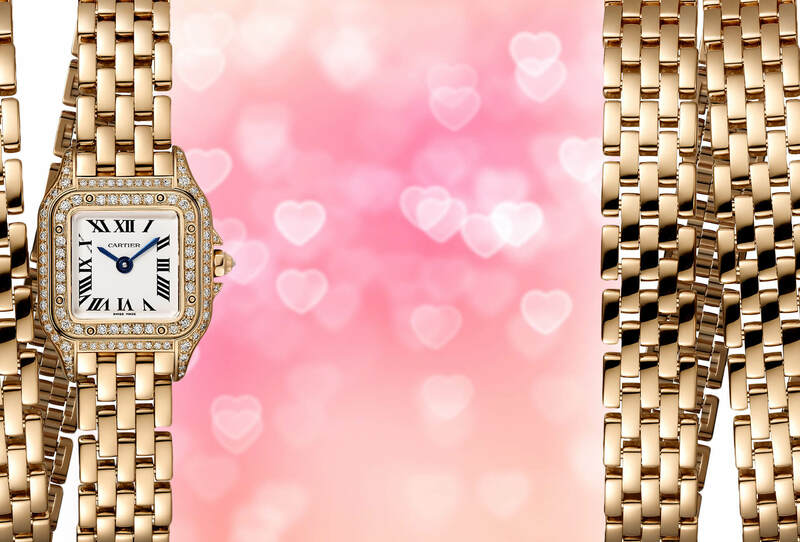 For Valentine’s Day, Breguet has added a new creation to the Reine de Naples collection, which historically has been designed for women. The House of Breguet created this collection in 2002 to pay homage to the wristwatch that Abraham-Louis Breguet made for Caroline Murat, Queen of Naples, in 1812 – the first known wristwatch in the world. Inspired by this timepiece, the Reine de Naples is distinguished by its fine curved, oval, and slightly elongated case. This year, Breguet plays with shades of pink, inspired once again by the original display – with small off-center seconds. A manufacture caliber with moon phase ticks inside this limited edition piece of which only 28 exist. 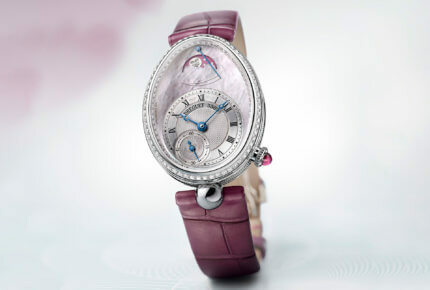 The dial of the Valentine’s Day Reine de Naples 8905 is dressed in iridescent pale pink mother-of-pearl. A moon and several stars in white gold take their place against the deeper pink of the moon-phase indicator. The pink cabochon-cut sapphire set on the crown lends the composition a sparkling touch. A mauve-colored alligator leather strap adds to this romantic palette. Finally, the oval piece is completed by a setting of diamonds on the bezel and the dial flange. 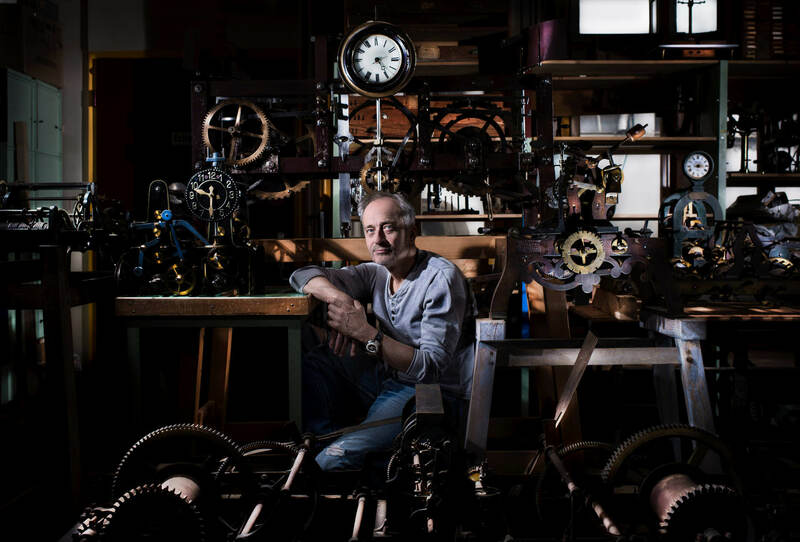 The craftsmanship of Breguet’s artisans ensures that the dial is easy to read, in a neoclassical style so dear to Abraham-Louis Breguet. The mother-of-pearl and silvered gold dial features the signature fine blued hands. The individual number of each timepiece appears at the top of the hours chapter. 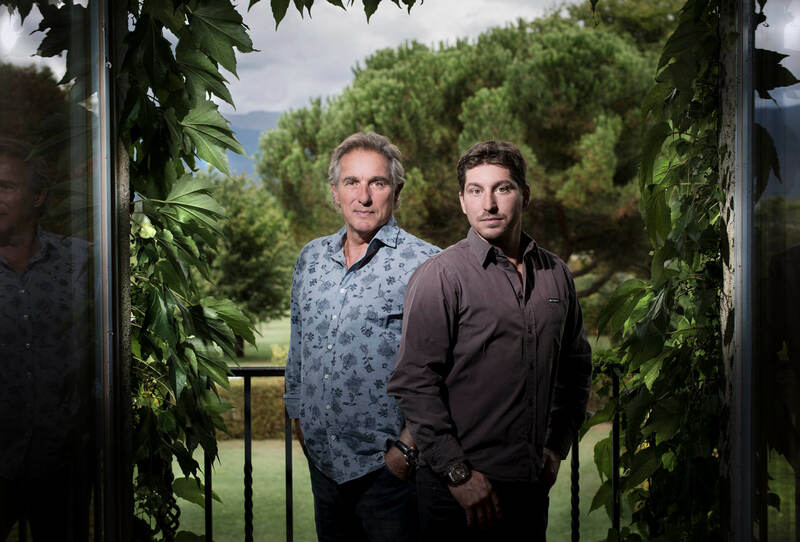 If the owner so wishes, Breguet will record her name in its archives, kept since the late eighteenth century, alongside the names of the House’s most prestigious patrons. Hours and minutes are displayed in Roman numerals on a glossy circular hours chapter around an engine-turned Clous de Paris pattern. The small off-center seconds feature an engine-turned flame design. 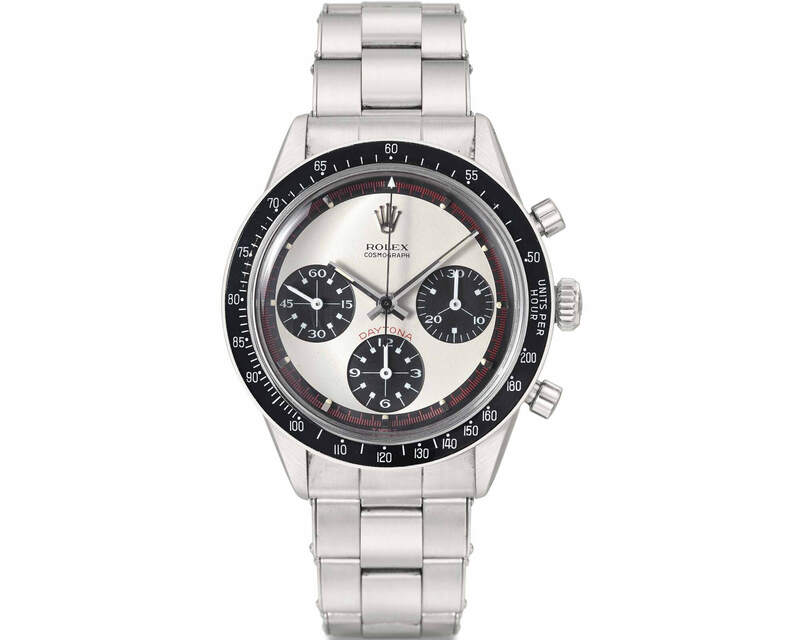 Lastly, there is a power-reserve indicator at the top of the dial. The white gold case of the Reine de Naples 8905 encapsulates a mechanical jewel – the 537DRL2 self-winding manufacture movement, with 45 hours of power reserve. Each of the 246 components forming the caliber visible through the sapphire-crystal caseback is carefully decorated, as is the tradition of Breguet.